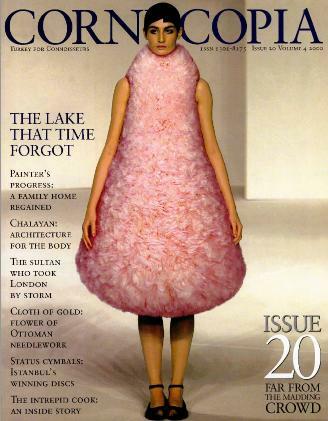 Turkish Cypriot fashion designer Hüseyin Çaglayan (aka Hussein Chalayan) was born in Nicosia, in 1970. He graduated from Nicosia's Türk Maarif College, and later studied design in London. While finishing his studies at the Central St. Martin’s School of Art in 1993, his senior year collection, “The Tangent Flows“, was displayed in Browns windows. 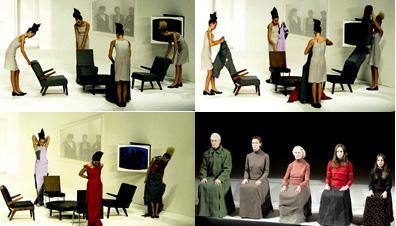 In 1995, Chalayan beat 100 competitors to clinch a top London fashion design award. 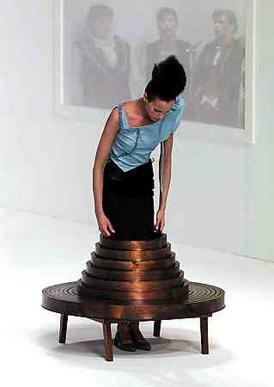 In the contest, organised by the company "Absolut", Chalayan, aged 25, won financial backing to the tune of UK Pounds 28,000 to develop creations for the British capital's Fashion Week in October 1995. Along with his own line, he also recently designed for TSE knitwear. His personality is calmer than his fellow British designers, yet his shows can be thought provoking and intense. His designs, which can be based on experiments and even abstractions of existing items such as meteorological charts, are often minimal and elegant. Twice named 'British Designer of the Year', Chalayan also won much praise from trade publications around the world. Turkish-Cypriot designer Hüseyin Caglayan (better known to fashion fans as Hussein Chalayan) was born in Nicosia in 1970. After graduating from the Türk Maarif College in his homeland, Chalayan went on to study at London's prestigious Saint Martin's School of Art. Regarded as something of a mad professor, Chalayan was frequently seen around the college with a plastic bag full of books on philosophy, architecture and physics. His studies and interests were so diverse and removed from those of typical fashion students that one professor actually told him to switch to sculpture. A clever designer who shuns the type of attitude that is a virtual prerequisites to enter the fashion haute monde, Hussein Chalayan is a visionary who simultaneously charts new fashion territory and turns out pieces with staying power. In an industry obsessed with change, this is no small achievement. Says bad boy designer Alexander McQueen, "I admire his aesthetically challenging mind." And despite maintaining a certain distance from pop-culture and fashion trends, Chalayan has displayed an uncanny ability to present spot-on collections season after season. For his own line, Chayalan pleases crowds with what can only be described as future minimalism. His collections have become as much art installation and theater as fashion, and his understanding of the intricacies of architecture lends itself to well-articulated but minimal silhouettes. He has made waves with an 'inspired' look at the traditional Muslim garb (naked models paraded down the catwalk with their heads draped in traditional scarves); other creations include long knitted dresses with built-in walking sticks, starkly pleated ‘concertina’ dresses and course, the infamous cone-and-perspex-cube headdresses. If Chalayan's work is highly individual, it’s because the designer avoids borrowing from fashion history: "I was never a fashion magazine nerd", he told Elle in a recent interview. Chalayan has produced three ultra-feminine (and remarkably wearable) collections for the New York-based cashmere company TSE. "What Hussein has done," says Rebecca Shafer, creative director of TSE, "is to make a commercial collection with a pure design focus. He pays attention to detail, but the finished look is very simple. It's a very intellectual approach." Chalayan also creates a young, fast and disposable capsule collection for Top Shop in London, a store popular with teenagers. At present, he is designing an installation for the 'Mind' section of London's controversial Millennium Dome. And Colette - the Parisian mecca for all that is trendy -doesn't just sell his clothes, it exhibits them! 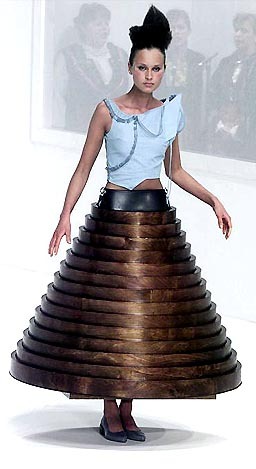 1993, Chalayan's graduation collection featured clothes that had been buried, exhumed and covered in lead shavings to see how they would react to a magnetized catwalk. But the mantle of eccentricity was dispelled when Joan Burstein, owner of Browns, the cutting edge clothes boutique in London, chose to display Chalayan’s entire collection in her shop window. "It was his complete dedication that attracted me to his work," she said, "He had that blind self-belief that's inherent in all great designers." Not surprisingly, a star was born. Chalayan's career was off and running: in 1995 he topped 100 rivals to clinch a contest organized by Absolut Vodka, which gave him financial backing to develop creations for London Fashion Week. Now Chalayan has 10 collections to his credit. Innovations from unrippable paper clothes, super-sharp suits with illuminated flight path patterns and pixilated print dresses serve to highlight technology-inspired fashion as a vital element for contemporary dressing. Last year, at 28, Chalayan was honored with the prestigious Designer of the Year award at this year’s annual British Fashion Awards. From his cramped studio near Covent Garden, Chalayan has developed a reputation for being a serious man of ideas who avoids fashion’s social circuit like the plague, preferring a spot of Heidegger to the 'it' clubs. Such modesty and talent has earned the admiration of many fashion VIPs. "I like his attitude and way of thinking," comments the ultra-elusive Rei Kawakubo of Comme des Garçons.